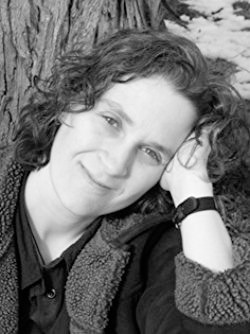 Montpelier author Jennifer McMahon can write a killer first scene. Over the course of eight suspense novels, she's always excelled most at hooking the reader, even as her themes and structures have grown more ambitious, her characterizations deeper. Where she invariably falls short — in this reader's estimation — is in satisfying the breathless expectations she's established. In this regard, her new novel, Burntown, is no exception. Yet there's much to praise in this book. McMahon moves beyond the gothic tropes that were the staples of her earlier thrillers — missing girls, spooky places — to take a jaunt into the realm of magic realism. So, about that killer first scene. It's 1975, and 10-year-old Miles Sandeski watches as a man wearing a chicken mask strolls up to his beautiful, sunbathing mother. The boy "feels as if he's somehow slipped into one of his Saturday morning cartoons"— until the Chicken Man slits his mother's throat. Miles' father, the prime suspect, commits suicide in police custody, leaving Miles obsessed with clearing his name. The tool he hopes to use is a bizarre one: a set of antique plans that, according to family lore, were stolen from Thomas Edison and outline a machine for communicating with the dead. 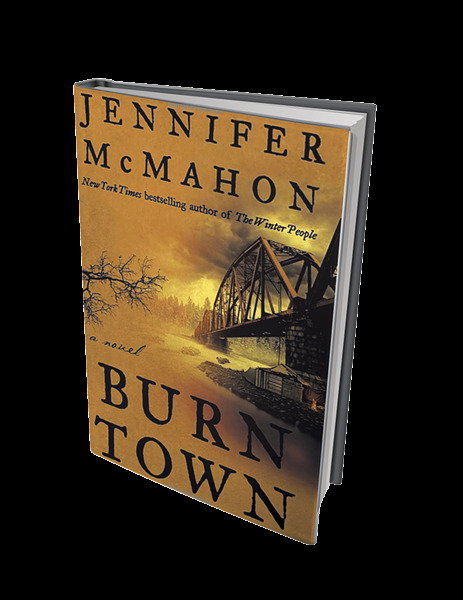 Burntown by Jennifer McMahon, Doubleday, 304 pages. $25.95. From here, McMahon's present-tense narrative rockets forward in time, shifting focus rapidly in its first 30 pages. Miles is not the protagonist, as we may initially assume. And the Edison machine, which he successfully builds, turns out to be more trouble than it's worth. A spirit voice guides the adult Miles — now a husband, father and college professor — to a mysterious antagonist who strikes out at the Sandeski family during a flood. At this point, the narrative abruptly jumps four years forward to focus on Miles' daughter, now a young homeless woman known as Necco. Her father's fate remains uncertain, as Necco has frustratingly incomplete memories of how she and her mother came to live under a bridge with a group of vagrant mystics who call themselves Fire Eaters. And the story is still only getting started. The Sandeskis' enigmatic, transgenerational nemesis soon resurfaces, leaving more corpses in his wake. If this sounds confusing, it is — largely because McMahon uses Necco's amnesia to withhold large swaths of vital information from the reader. Happily, however, she also supplies stronger characters to ground us, drawing on her vividly imagined setting. In the past, McMahon has gotten significant mileage out of the iconography of rural Vermont — creepy things hiding in the woods. Here, she changes things up with an urban milieu. Ashford, Vt., which Necco's mother has rechristened "Burntown," is a decaying industrial burg with a hippie/hipster contingent, suggesting a hybrid of Barre and Montpelier (it has a college). Necco knows all of Burntown's "secret shortcuts, its shadowy forgotten places that college students, nine-to-fivers, and comfortable families who walk these streets never see." With vibrant description, McMahon draws chills and poignancy from this landscape of derelict Victorian mills, secret tunnels and foliage-choked riverbanks where homeless women snort a drug called the Devil's Snuff. Mainstream Ashford yields colorful characters, too. Among those whose lives have been shaken by the latest murder are Theo, a lesbian Catholic schoolgirl on the run from a drug dealer; and Pru, a lonely cafeteria lady who dreams of starring in the circus. Watching these two cross paths with Necco and form an unlikely power trio is one of the novel's great pleasures. When it comes to making all of these disparate elements cohere in the novel's denouement ... well, let's just say McMahon doesn't stick the landing. In large part, that's because she's led us to expect truly stunning contortions. From the start, nothing about the Sandeski family history quite adds up. McMahon teases us with the possibility that the murder Miles witnessed was actually a twisted primal scene, the Chicken Man his own father. As an adult, Miles publishes a popular self-help book, inspired by a trinket of his mother's, advancing the Jungian-esque theses that "each person was living her own myth" and "we're all capable of doing something terrible." This is heady stuff. But McMahon's eventual unmasking of her villain doesn't do justice to all the foreshadowing and leaves readers scratching their heads over a few too many implausibilities. Perhaps Burntown is a victim of its own ambition: In just 300 pages, the novel combines elements of a multigenerational family saga and a small-town portrait. Toss in spiritualism and intimations of cosmic forces at work, force all this into the form of a whodunit, and you have a recipe for reader letdown. After the taste of that unsatisfactory ending fades, however, the atmosphere and imagery of Burntown linger. McMahon is growing as a writer, giving us richer, grittier settings and more distinct voices with each successive novel. When she dangles a tantalizing hook in her next book, we'll be right there to see where it leads. The original print version of this article was headlined "Trial by Fire"